An interview with Christine Loh and Richard Cullen on their new book. Recent trends in Hong Kong are concerning. On one hand, the central Chinese government in Beijing is adopting a heavier hand toward the special administrative region, even encroaching on Hong Kong’s vaunted freedoms of speech and the press. Meanwhile, pro-democracy and even pro-independence groups in Hong Kong are agitating for more distance from – or, in the case of the latter, a complete break with – the mainland. These two trends are reinforcing each other in a toxic cycle: each power move from Beijing sparks a backlash from separatist forces in Hong Kong, and vice versa. How to untangle this Gordian knot? Christine Loh and Richard Cullen provide some recommendations in their recent book No Third Person: Rewriting the Hong Kong Story. Christine Loh Kung-wai has served Hong Kong in the public, NGO and educational sectors for more than three decades, most recently as Hong Kong undersecretary for the environment. Richard Cullen is a Visiting Professor in the Faculty of Law at the University of Hong Kong. Below, The Diplomat talks with Loh and Cullen about the current reality in Hong Kong, and the path toward a peaceful future. You argue that Hong Kong must accept the reality of today’s People’s Republic of China and make its loyalty to Beijing clear. How can Hong Kong do that and still vigorously defend its customary freedom of speech and rule of law, which the CCP views as ”false ideological trends“ that must be combated? 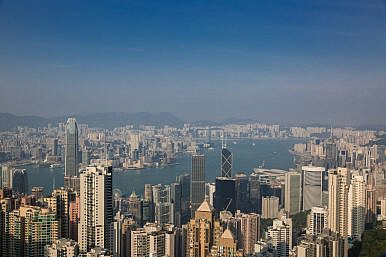 Hong Kong became a part of China again in 1997. The pre-reunification Hong Kong story was in fact an allegory of larger geopolitical clashes between “capitalism vs. communism,” “democracy vs. authoritarianism,” and “freedom vs. control.” It was an allegory of the East and the West. The problem with such a line of thinking was that it pitched Hong Kong as an adjunct of the West, against China. Now that Hong Kong has been a part of China for more than 21 years, the special administrative region has, in our view, stood the test of time as a safe and vibrant society although it has faced its fair share of local socioeconomic and political challenges like everywhere else. The concern for freedom of speech today has much to do with Hong Kong having to deal with national security – that is maintaining China’s national unity and territorial integrity. This was not a front-and-center issue when Hong Kong was a colony because Britain was sensitive to China’s concern. Hence there were tough colonial laws on the books to deal with “emergency” situations, such as unrests, should they be needed. These remain in place today. Moreover, Hong Kong did not have to deal directly with Britain’s interests as they were not played out in any sort of central way in a far-flung outpost. This is not the case for China. Beijing has longstanding pivotal concerns related to internal rebellion and external interference which must be taken seriously in Hong Kong. This is the tussle that is taking place. National security is being more sharply defined in Hong Kong: one political party has been banned and certain politicians barred from standing for election because they promote or have recently promoted “independence” or “self-determination.” We believe Hong Kong must face the reality that China has rational national security concerns and a part of dealing with this fact requires Hong Kong to state its loyalty to territorial integrity and national unity. On a related note, some commentators are already concerned that Hong Kong’s autonomy and freedoms are being eroded, through incidents like the detention of Hong Kong booksellers and the recent denial of a visa for a Financial Times journalist. What’s your take on the current health of Hong Kong’s autonomy? In our book, we point out that China’s “one country, two systems” policy and the Basic Law mean China’s writ does not run directly in Hong Kong. Beijing cannot just command by fiat but must work through Hong Kong institutions, including the courts and even pay attention to local public opinion. In the case of the booksellers, they ran into trouble with the mainland authorities for publishing and selling books about mainland Chinese politics, including gossipy works about Chinese leaders that were brought back to the mainland. The controversy in Hong Kong was over one of them being allegedly abducted from Hong Kong. He was subsequently released back to Hong Kong. The mainland regarded the booksellers as Chinese nationals who violated mainland law. Abduction was seriously concerning, and mainland authorities denied the bookseller was snatched from Hong Kong. They knew national policy and the Basic Law were not on their side, and they didn’t claim jurisdiction. It is right that Hong Kong authorities should resist this sort of delinquent behavior, so as to make clear that it should not happen again. As for the denial of a visa extension to a British journalist by the Hong Kong authorities, we see this as part of Hong Kong having to painfully deal with defining national security, where a mark was being drawn in the sand that there would be zero tolerance of the media giving a conspicuous platform to independence advocates. The Foreign Correspondents Club invited the convenor of a pro-independence party to speak and the journalist was the first vice president of the club, who chaired the event. That party was subsequently banned using a piece of colonial legislation. What realistic options does Hong Kong have for responding to mainland policies that might be objectionable to Hong Kongers? Beijing’s key concern is that Hong Kong should not use its privileged freedoms to compromise national security. Hong Kong needs to have a cool-headed discussion about national security. Besides refining the Hong Kong standpoint on national security, Hong Kong people also need to look at this issue from Beijing’s perspective. In our book, we made clear we think it is possible for Hong Kong and Beijing to have such discussion going forward. There is mutual trust-building that needs to be done. The Basic Law stresses both the importance of national security (in Article 23) and the centrality of protecting individual rights (in Chapter III). This visible tension presents a problem with finding the right balance which is faced in almost all jurisdictions. In the Schenck case, in 1919, the US Supreme Court found that the constitutional freedom of speech provision (in the First Amendment) offered no protection from the sweeping and strict national security stipulations of the Espionage Act of 1917. It took some 50 years, until the Brandenburg case in 1969, for the court to settle on the evaluation applicable today in the U.S. This revised calculation says that First Amendment protections can outweigh national security restrictions in the absence of a demonstrated threat of imminent lawless action. America’s difficult experience confirms that resolving such challenges takes time – and context matters. You also state that problems in the relationship must be “worked out between Hong Kong and mainland China and no one else” — an argument referenced in the title of the book, “No Third Person.” But turmoil between Hong Kong and China is of global import, given not only China’s increasingly global role, but Hong Kong’s economic importance. Is there any way for foreign countries to productively raise concerns about the trajectory of Hong Kong-mainland ties? Putting aside for a moment your recommendations of what Hong Kong should do, what do you think Hong Kong will do? What is your short- and long-term prediction for the future of the Hong Kong SAR and its relationship to the mainland? It is clear that deeper trust-building and settling of the Hong Kong-mainland relationship will need time. This is a task which requires continuous, spirited, good faith engagement. The path is full of challenges because it was never easy to have two quite different systems within one country in the first place. Yet this is proceeding, and China is not about to ditch “one country, two systems” – from Beijing’s point of view this system is good for both mainland China and Hong Kong and it is working well. On national security, a line has been drawn and Hong Kong people, as well as others, will have to work through where the boundaries are. This is also an opportunity for Hong Kong and Beijing to build trust. Hong Kong finds itself in a fresh game today where it should consider the outstanding opportunities and demanding challenges it faces with an open mind. For well over 150 years it has experienced many ups and downs but it has repeatedly played exceptionally well with whatever cards it has been dealt. We do not underestimate how intensely the HKSAR will be tested but, based on its track record, Hong Kong is well-equipped both to work for the betterment of China and to maintain its own special status within the People’s Republic. Circumstances today are different from before but Hong Kong people appear to have the ability to plow ahead.